A cake sale was held in Blackrock, Cork recently by Amy Phillips, Diane Fitzgerald, Claire Lehane, Sally Haugh, Amy McGuinness, Meg Haugh, Anna Lynch and it was a great success, it was so good there maybe another one planned. Thanks to all that helped and participated. Great success and thanks to all who turned up. Special thanks to Mary-Joe Ryan for organising it and all her helpers. It was a great sight to have so many horses and hounds on the ride. Victoria Grant, Mel Bullard, Jenny Curruthers, Jane Shayegan, Clare Brooks and Rebekah Reid. Sunday night swim in Bath ,March 16th 2008. Baywatch all over again. Thank to Chartwell and all the runners. There was some very good times, great run. Thanks to Tania for organising the jeans at work day, great success. Great response from her work colleagues. Thanks to all involved in putting on a great day for the Munster match, and thanks to the Munster team for winning. Thanks to Susan and Trisha for doing a great job, great night was had by all. 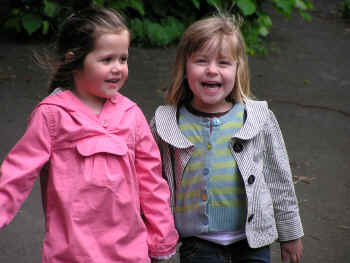 Thanks to all at Baby Face Nursery in Bath for their events in helping to raise money for Grace. The walk in the Park was exactly the kind of thing that Grace would love to do herself. The money raised will continue to help with the medical bills. Thanks to all who ran for Grace in the Cork City Marathon, it is our hope with your help that Grace will some day run her own marathon for to help someone else. ''The Triathlon in Schull was a great day out with lots of teams running, swimming and giving the bike a push for Grace. Thanks to all. 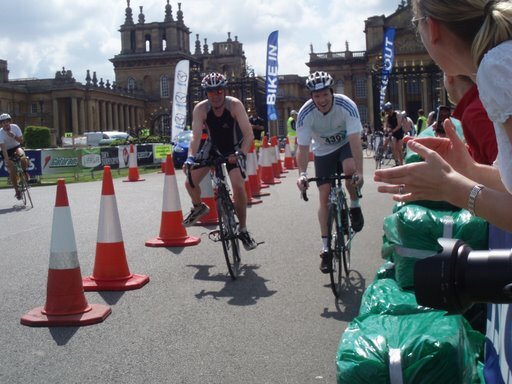 Many thanks to Dr. John Pauling, Royal National Hospital Rheumatic Diseases, Bath, for competing in and successfully completing the Blenheim Triathlon. John engaged many of the staff members at the RNHRD in Bath, to support his efforts for Grace. We are very grateful to John and all who helped ensure this event was such a success. Congratulations to Val Stone, Katie Stone (aged 9) and Dr Michael Kennedy, who competed in this challenging bike ride Val did 140 km and was joined by his daughter Katie for the last 26 km and Michael completed the full 200 km in 9 hours. Thanks to all of them for such a wonderful effort for Grace and to all who gave so generously to sponsor them. 'Magic Moments Nursery in Toronto was the scene of a great day out with lots of old friends doing amazing things to help Grace. Alice attended the nursery when she lived in Toronto. The Co Cork Association in NY held a fund raiser in NY for Grace on Saturday night, 21st of June 2008 and they had a great response to their efforts. Among the many that supported the event Consul General of Ireland , Niall Burgess attended as did Mary O'Dowd of the Frances Pope Memorial foundation. The event was organised by Mae O'Driscoll and Mary Naughton and was a great success. Tug -of-war at the fun day, organised by Passage West GAA, was a great fun day for all despite the bad weather. Martin Coughlan, Captain of the winning team, received their trophy from Fionula O'Gorman, Grace's aunt. 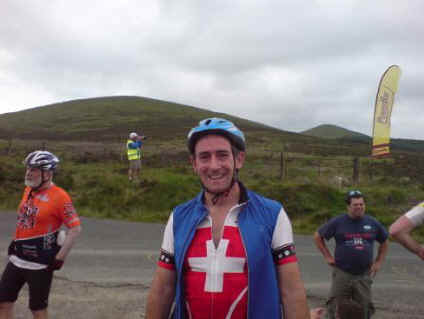 Padraic Cossgrove completed the triathlon in a very impressive time in very hot conditions. Not an easy event when you swim in the Hudson river in New York. Big thanks to him for this great effort. Great evening of music was had by all , great effort for Grace and great singing by all. Thanks to Dave and Paul for putting on a great day for Grace. 'Playing for Grace' was a great sucess with 13 teams turning up on the day and the weather shinning out after a lot of rain. The idea for the day was inspired by Dave's daughter 'Lexi' who looks like Grace. Thanks to all. Many thanks to Da Vinci's Deli for organising a charity gig for Grace with local bands including The Volt. Our thanks to Richard Felton for running from London to Brighton for Grace, 90k on the 5th October.